Prepaid Cellphone Portal is a blog initiative of a person interested with mobile phones, prepaid subscription service and the prepaid loading business. Topics will mainly focus on those areas but other personal or otherwise helpful blog posts may be read in this site. 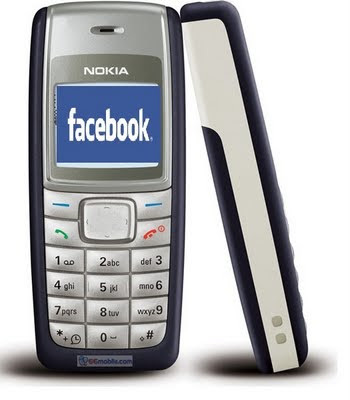 Facebook Text Messages has empowered older cellphone models such as the one I am currently using - Nokia 1112 - to be able to participate in the leading online social network - Facebook. Just like the owners of iPhones, Android phones, Blackberry phones and other smartphones, old cellphone model users like me can now update our FB friends of what's happening with us or what's our current preoccupation. And it also allows us to be notified about friend requests, messages, tagged photos and the like. Sign up for Facebook Text Messages Here. This came about when the reply text to my balance inquiry included the information about Facebook updates via SMS. I think that there is still a segment of cellphone users using old models - and at the same time - active with Facebook. Although most mobile phone models nowadays comes with internet capabilities and other apps for social networking, a few others may still be stuck with old phones because it is very reliable or because of some sentimental reasons. To start using Facebook Mobile, send F to 2933 for free. You will receive a confirmation code which you need to enter to your facebook mobile account settings. SMS notifications are free, and update is P1/txt. You may also subscribre to 10 FB updates for only P5/day. Just text ON FB to 2933 after successfully subscribing to FB mobile. In my case, there were some delay for my cellphone number to be registered with my Facebook account. But I'm glad it's done. Here's my first ever update on my Facebook status from my Nokia 1112. After the registration, one has the option to choose which notification he/she will receive via text/SMS from Facebook. It can also be set so that the notifications will only be from friends. I hope that this service will be extended longer that 07/10/2011. 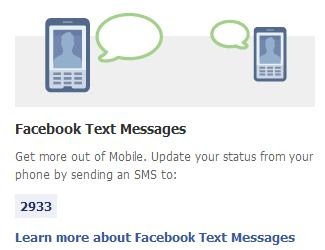 Are you (or do you know someone) using old cellphone model and use Facebook Text Messages to update FB status?